I have some very exciting news to share! A Little Bit of All of It is now at http://naturallifemom.com. The name of the blog has not changed, just the URL so please change your bookmarks. If you subscribe to the feed in Google Reader or through another service, please update your subscription so you continue to get posts. The feed is now feed://naturallifemom.com/?feed=rss2 or you can click on the RSS icon at the top of the blog at http://naturallifemom.com. You now have the ability to listen to posts. It’s really simple! Just click on “Listen Now” under the title for a post. You can even download posts into your MP3 player to listen to later. There is also a way to subscribe to posts in iTunes on the sidebar. I will continue to do Sunday Surf posts but it may not be every week. I’ll still be sharing my favorite posts with you though throughout the week on the side bar. This way I can share more and you can check it anytime, not just on Sunday. I have added a page that will have contents soon. 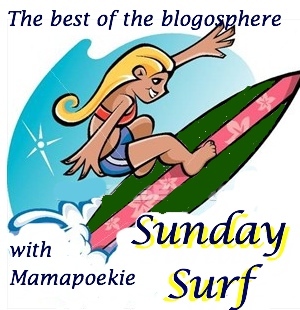 “Hall of Fame” will include only the blogs that I have shared 10 or more posts by them in my Sunday Surfs. Once a blog is added to the Hall of Fame, I will do a post on them along with the content of theirs I’ve shared so be on the lookout for that! I know there are a couple blogs that are close to that magic number 10! Recipes is also a fairly new page that I’m working on. It’s a work in progress but feel free to check it out when you need some meal plan ideas! I have added a store where you can find and purchase my favorite products! I’ll be adding a Blogroll soon. I also have a new email: Julia@NaturalLifeMom.com. There are other minor changes and additions here and there that you’ll discover while browsing the blog. I hope they make your reading experience better! Please feel free to let me know of any other changes you would like to see! I’m very late but I’m finally here and I’ve answered the Day 1 questions below! I’m looking forward to reading all of the other participants answers and the rest of the party! Not sure what I’m talking about? 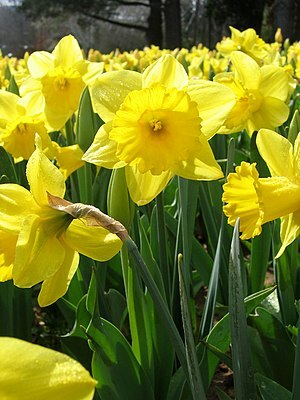 Go check out this post at The Peaceful Housewife. 2.Do you have a partner, or are you a single parent? I am married to my husband and we are about to celebrate 9 years of marriage this April. 3.What are your “hot button” parenting issues? I would say I’m passionate about breastfeeding beyond infancy, baby-led weaning (in regards to starting solids), cloth diapering, bedsharing/co-sleeping and natural childbirth. 4.Have you made any parenting choices that you didn’t think you would make before you were a parent, i.e. cloth diapering a child when you had previously thought it was disgusting? I had thought I would stop nursing after my baby turned 2 but so far we’re still going strong and I don’t have any plans to wean. 5.Is there one book or person in particular that’s heavily influenced your parenting choices? I couldn’t point to just one book. I have read several and they all have affected me in different ways. Some have made me aware of things I hadn’t thought through and others have clearly shown me what I definitely did not want to do! I know the Baby-Led Weaning book very clearly affected my decision on how to start solids with my daughter. 7.Is there one parenting decision that you regret more than others and wish you could change? The first thing that comes to mind is actually something during the birth I wish I would have done differently. I fully intended to delay cord clamping until I found out they would not be able to type my daughter’s blood if they waited the full time for it to stop pulsing. Without knowing her blood type I would not know if I needed an RH shot after birth. So, we opted to not cut immediately but also not wait until it completely stopped. I feel like this was just really selfish on my part looking back. I don’t know why I ever thought that was a good idea. The irony is I ended up having to get the shot regardless because the lab took so long with the results and I would not have needed it after all. Next time I will just get the shot and let the cord stop pulsing. No need to know the child’s blood type right away. 8.Is there an area of your parenting you wish you were better at? I’m not patient….at all. 9.Now for the fun questions – is there one particular food or type of food that you could eat every day? I love cheese! 10.Vanilla ice cream or chocolate? Definitely vanilla. I’m not a fan of chocolate. 11.What’s your guilty pleasure? Internet time…I spend way too much time online. 12.If you could be part of any television show, which show would it be? I don’t watch a whole lot of TV so I don’t even know! Here’s another round of Facebook questions and answers. I ask questions throughout the week, fans answer and I pick my favorite to post on the blog each week. We’ll play again next week so become a fan and join the fun! Q: What’s your best housekeeping tip? Q: Have you had any recipe disasters lately? Q: What do you do special from your anniversary? Thanks for all those who participated! Come play with us next week! It’s Blogger Appreciation Day! Below are the top referring blogs to this blog for the last 30 days. If you’re on this list, THANKS! Visit 3 Boys and a Dog for more Blogger Appreciation Day posts.